Good evening and welcome back to our Share Your Style party!!! Each week one of your hosts will take a turn choosing the features, and then ALL Six of us will share them on our blogs for tons of exposure. It's been a busy week at Dixie Delights! 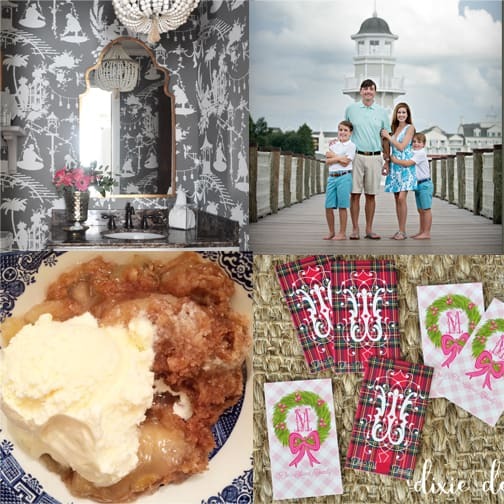 I shared the final reveal of my powder room, kicked off a Christmas gift tag giveaway, posted pictures from our family photo session and shared the easiest crock pot apple cobbler EVER. I'd love for you to pop by Dixie Delights and say hi! Chatfield Court shared instructions for a lovely vintage mirror to chalkboard transformation. Bloom Designs shared a darling Thankful tag perfect to tie to a little teacher treat this week - like pumpkin muffins or even a mini pumpkin! 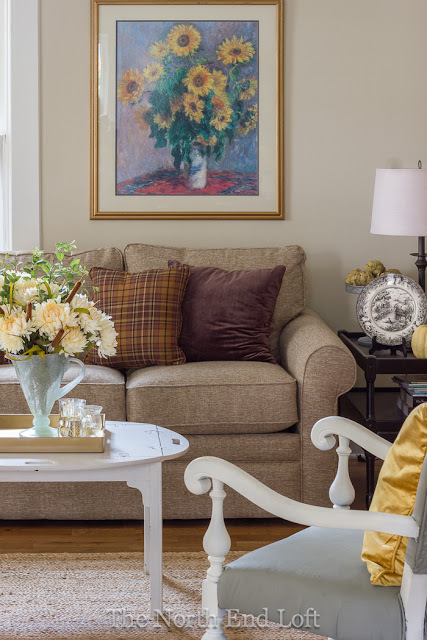 The North End Loft shared her cozy fall decor. It looks like the perfect place to cozy up with a book on rainy days like today! 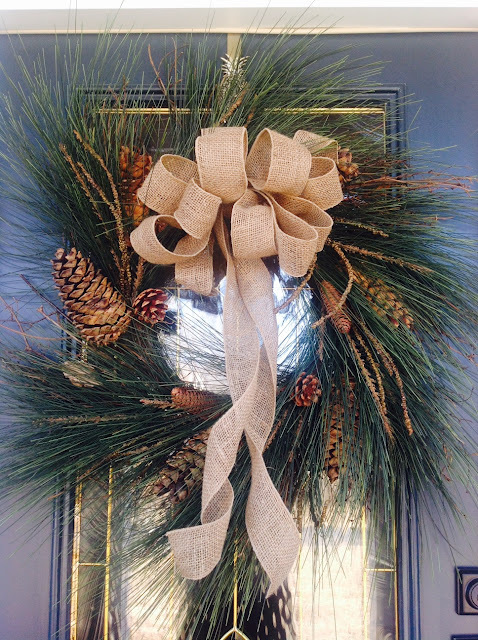 My Kentucky Living shared how she transitions one wreath from fall to Christmas. It's a great idea! If one of your links was featured, be sure to grab our button before you go!! With that, it’s time to Share Your Style! !